I am cross-posting this important update from Ruth Ellen Gruber from Brno. Other good news from Brno is that we should soon see architect Jaroslav Klenovsky's book on Czech synagogues. It's been several years since I was last in Brno...I look forward to a visiting again. This paper by Pauline Sliwinski, who served an internship at the Museum of the History of Polish Jews, Poland describes and explains the The Virtual Shtetl Portal of the Museum of the History of Polish Jews, the Museum's most public effort at global accessibility, and attempts to analyze its use. When completed the musuem will hardly be a 'virtual,' one, but it will, like more and more museums and collections, reach out for audience and participation through cyberspace. Through the Virtual Shtetl the museum has empowered a huge community of interest to help write (and preserve) a lost history. This paper focuses on the Virtual Shtetl Portal of the Museum of the History of Polish Jews. Virtual Shtetl utilizes a Web platform that enables registered users to participate in the sharing of public history and the preservation of Jewish cultural heritage. It aims to transform the passive role of the museum visitor to that of an active stakeholder in the preservation of Jewish heritage closely linked to the Polish landscape. 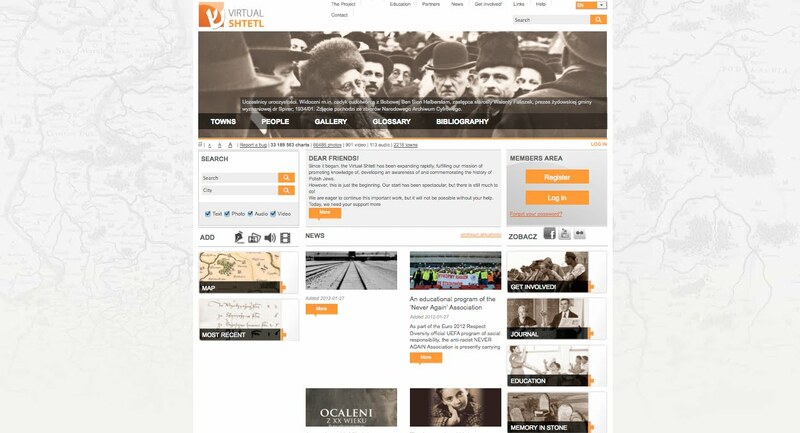 The Virtual Shtetl Portal project (Portal Wirtualny Sztetl, http://www.sztetl.org.pl) is an initiative of the Museum of the History of Polish Jews (Muzeum Historii Żydów Polskich) that was first launched online in June of 2009. 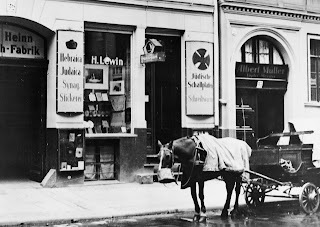 The Virtual Shtetl chronicles the history of Polish Jews by providing information about the small towns and big cities where for centuries Jews, Poles and other minorities lived together. The project is constantly growing and improving with the addition of new entries by participating users. 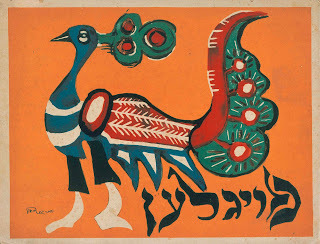 Under the guidance of the Museum of the History of Polish Jews, online visitors are helping to create an interactive database of information about Jewish communities from over 2,200 towns across Poland. After its first year, there were more than 40,000 photos and 500 films. As of today there are more than 65,000 photos, 900 films and these numbers are continuing to grow. From September of 2008 to the launching of the site, I conducted an internship at the Museum and my main responsibility was to assist with the creation of the English version of the site. The major task was to contact volunteers and professional translators who could help to translate hundreds of historical texts written in Polish to English. 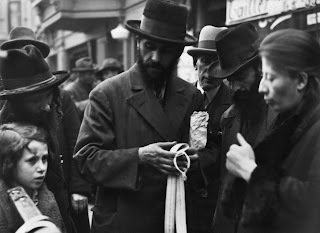 But more importantly, during this internship, I became not only familiar with the textual content of the project but also I observed and participated in the social network that makes the Virtual Shtetl possible. When the project was officially launched and my internship drew to a close, hundreds of people from across the world were sending their feedback and uploading their own materials to the site. The network of volunteers working on the Virtual Shtetl has expanded since then and the website’s user base has grown considerably to well over 1,500 registered users as of January 2012. I chose to examine these encounters from a qualitative and cultural theory perspective because of my training in the field of sociology and my introduction to one of the early contributors to the field of memory studies, anthropologist Clifford Geertz (1973). When expanding upon a semiotic approach to the theories of culture, Geertz began to theorize cultures as “webs of significance” that are “spun” by humans. Paradoxically, humans also end up being “suspended” by them (Geertz, 5). I came to understand over the course of my studies that the museum is such a web and that as the visitor, the curator, the volunteer and the scholar, we are all “suspended” in those webs. The concept of memoryscape serves as an entry point for interpreting the Virtual Shtetl Portal of the Museum of the History of Polish Jews, the memories it sustains and contests, and its stated and less explicit social purpose. A museum itself is a memoryscape, a portal through which societies remember. The Virtual Shtetl Portal is more than a multimedia exhibition that provides a new way of experiencing a museum. It is a place of concentrated cultural practice where public history is being rewritten, where individuals become guardians of historical memory, where the public is empowered by a passion for the subject and the availability of an Internet connection, and where memories and identities are constructed and negotiated. I've been meaning to post about this book for quite a while. 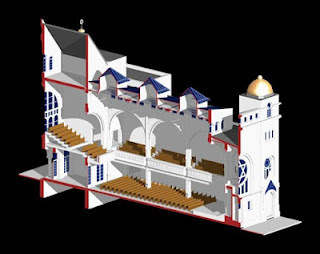 I heard Bob Martens present his impressive work of digital reconstruction of Vienna's destroyed synagogues at a conference in Lviv, Ukraine in 2008. This book came out the next year, and I've finally been making good use of it. There is an English version that came out earlier this year but I have not seen it yet. There is a long history of making models of lost synagogues. Visitors to Temple Beth El in Detroit have seen representation of past homes of the congregations, and visitors to Yeshiva University Museum and Beth Hafusoth in Tel Aviv have encountered more ambitious models of famous synagogues of centuries past. Beginning earlier in the last decade researchers at the Bet Tfila-Research Unit, Technische Universität Braunschweig, Germany began making wooden models of historic synagogues, a mix of (mostly German) surviving and lost buildings. These have been exhibited in Berlin and elsewhere, and published in Synagogenarchitektur in Deutschland. Dokumentation zur Ausstellung (2008). 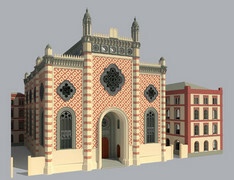 About the same time a growing number of architects began to use computer modeling to ‘reconstruct’ synagogue buildings. 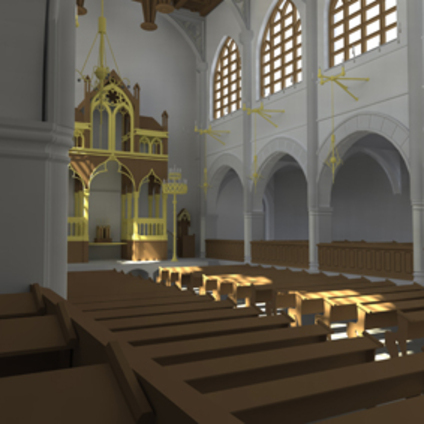 In 2001, Robert Davis published on-line computer-generated models of Texas synagogues; and in 2004 architects at the Darmstadt University of Technology in Germany made very detailed representations of German synagogues (Synagogues in Germany : a virtual reconstruction = [Synagogen in Deutschland : eine virtuelle Rekonstruktion), edited by Darmstadt University of Technology, Department CAD in Architecture, Art and Exhibition Hall of the Federal Republic of Germany, Institute for Foreign Cultural Relation. In Vienna, architects from the Technische Universität Wien led by Bob Martens have taken the recovery quest one step further. Beginning in 1998 in an ambitious program inspired in part by the 1987 publication by P. Genee of Wiener Synagogen, Martens and his team marshaled documentary, graphic and photographic evidence and created digital reconstructions of twenty-three Vienna synagogues destroyed by the Nazis on Kristallnacht in November 1938. The project does, however, not cover the approximately 80 additional prayer houses that were in the city. These were not, for the most part, architecturally distinctive, but more importantly insufficient evidence survives of their appearance to allow reconstruction. 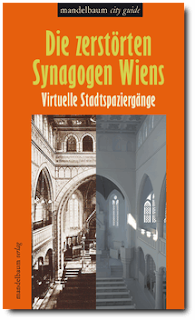 The reconstructions of the architecturally distinctive synagogues have been gathered into an extensively illustrated city guide to this lost heritage. With the help of CAD (computer-aided design) and rapid prototyping a working group based around the authors was able to virtually rebuild the destroyed synagogues. The reconstructions attempt – mostly successfully – to reconstruct both exterior and interior appearances of the destroyed synagogues. Like the German wooden models from Braunschweig, these reconstructions make a valiant attempt to recreate interior seating arrangements. These reconstruction are much more valuable for understanding the full spaces of sanctuary interiors than more other visual aids. One can better understand entrance and processions routes within the space, and also the relationship between the seating of men and women. Another great virtue of this work is that all the synagogues are shown in their (often dense) urban context, past and present. In the guide, historic photographs are contrasted with the virtual reconstructions and accompanied by descriptive texts. The synagogues were built in a range of historicist and modern styles by many distinguished local architects, several of whom, like Gartner, Stiassny and Fliescher were Jewish. Several scholars have been looking at Stiassny’s life and work but he has yet to receive the monograph he deserves. 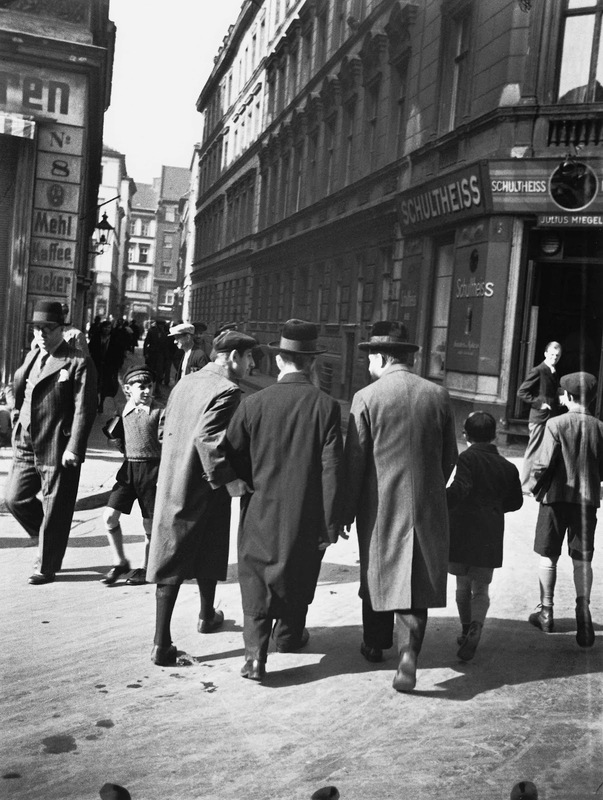 Two exhibitions at German Jewish museums focus on the history and legacy of Eastern European Jewish immigrants to Germany before and after the Shoah. At the Berlin Jewish Museum the exhibition Berlin Transit traces the lives, settlement patterns and cultural expressions of Jewish migrants from Eastern Europe in the 1920s, especially those poorer Jews who settled in the neighborhood of Scheunenviertel, near Alexanderplatz, others in middle-class Charlottenburg.The exhibtion includes photos form the old neighborhoods as well as objects from the time, but it also includes works of fine art by some of the best Jewish artists of the interwar period, including Issachar Ber Ryback and Leonid Paternak. 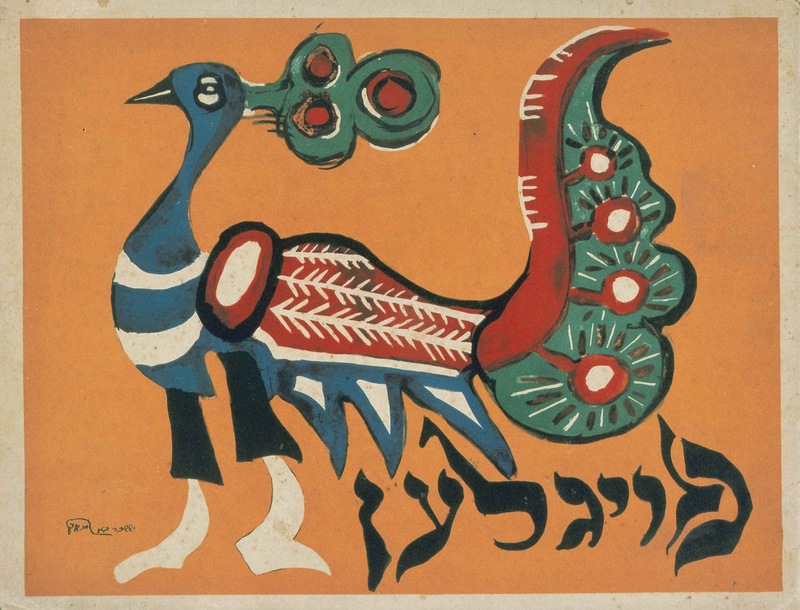 A cycle of pogrom images by Ryback is on display in Berlin for the first time since 1924. 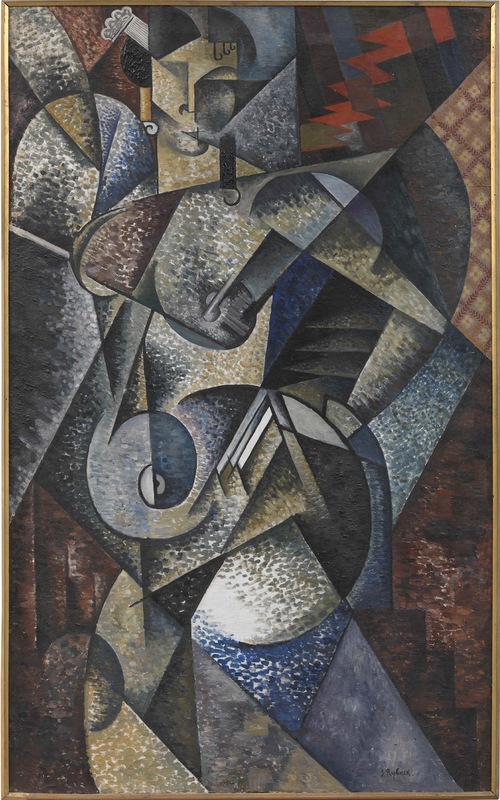 The imagery in these works will remind viewers of similar scenes in Marc Chagall's crucifixion series of the later 1920s. Rybacks' avant-garde watercolors join in dialogue with Leonid Pasternak's paintings and Naum Gabo's sculptures. Meanwhile, an exhibition at the Munich Jewish Museum the exhibition Jews 45/90 From Here and There - Survivors from Eastern Europe examines the fate of Eastern European Holocaust survivors who settled in Germany after 1945. The Munich exhibitions examine the lives of DPs in the Munich area after the World War II, when Germany became home for tens of thousands of Eastern European survivors. This exhibit is purported to be the most comprehensive presentation to date about the everyday life, history and culture of Jewish Displaced Persons. The exhibit especially focuses on the stories of individuals, and also the varied living conditions of DPs. 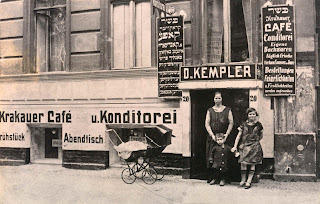 While some DPs remained in Germany and until the recent large influx of Russian Jews constituted the majority of Germany's post-war Jewish community, most emigrated again to Israel, the United States and other countries. As a hub connecting East and West, Berlin was a place of refuge and a way station for tens of thousands of Jews from Eastern Europe starting in the late nineteenth century, and particularly after the First World War. Most of them were fleeing westwards, away from the war, revolution and pogroms of the former Russian Empire and the Habsburg Monarchy. 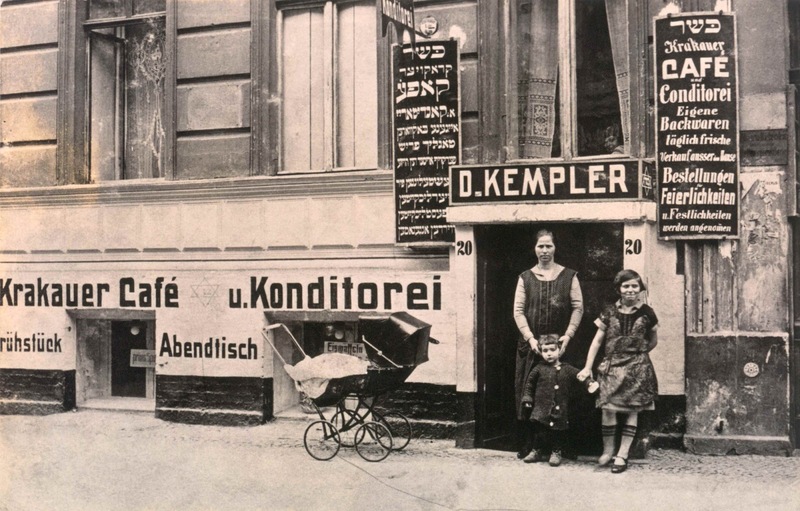 With its multilingualism and complex internal networks, the community of Eastern European immigrants brought about a heyday of Jewish culture in Berlin. 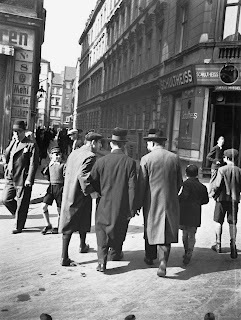 Many of the poor Jewish immigrants lived in the Scheunenviertel area near Alexanderplatz, others in middle-class Charlottenburg, a district of the city referred to as "Charlottengrad" on account of the high proportion of Russians who lived there. 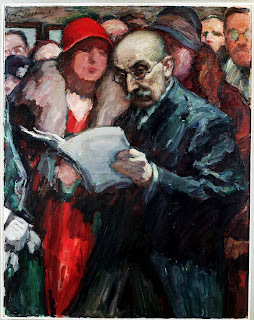 This cultural-historical exhibition focuses on the diverse worlds of Eastern European Jews in Berlin of the Weimar Republic, and presents a wealth of unknown materials: literary and autobiographic texts can be heard in their original languages (Russian, Yiddish, Hebrew and German), largely unknown photographs of the Scheunenviertel are subject to critical analysis and newly interpreted. The exhibition was developed in cooperation with the research project "Charlottengrad and Scheunenviertel: Jewish Immigrants from Eastern Europe in Berlin in the 1920s and 1930s" at the Eastern Europe Institute of the Free University of Berlin. At the end of the exhibition visitors are invited to explore urban space for traces of the largely forgotten places that reflect the immigration of Eastern European Jews to Berlin. A catalog of the exhibition (in German) is available. Divided into nine different themed displays, the lives of DPs are described from their liberation until their emigration to Israel or other countries. It is not a straightforward story that is told. Depending on the occupation policies of the Allied Forces, the relief organizations, and international political developments, Jewish refugees did not know how long and under what conditions they had to carry on living in DP camps. Visitors therefore make their way through a maze - with a view of the next displays always barred. Many of the exhibits may seem at first glance to be everyday objects of little value. Their significance unfolds through the stories and memories that the lenders associate with them. On the second exhibition level visitors are led into the Föhrenwald DP camp, now the Waldram district of Wolfratshausen, that existed from 1945-1957, longer than all other DP camps in Germany. Insights into the various aspects of camp life and the stories of individual families open up between the silhouettes of the characterstic Föhrenwald estate houses. The richly illustrated exhibition catalog From Here and There Survivors from Eastern Europe provides further information on the DP era and on the exhibited objects. In the essay section, the children of former Displaced Persons such as the authors Lily Brett and Savyon Liebrecht, reflect their own family histories inspired by the objects in the exhibition.